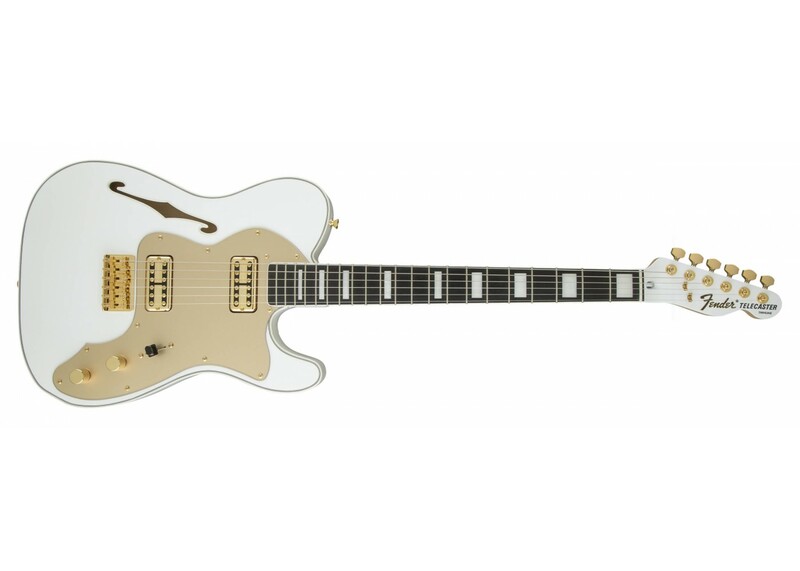 Fender's limited edition Telecaster Thinline Super Deluxe is an exceptionally stylish take on the guitar that started it all. 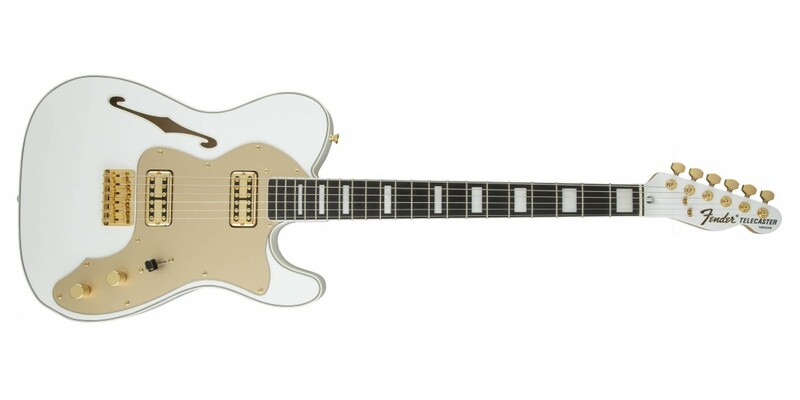 Available in Black and Olympic White, its elegant appointments include a resonant semi-hollow basswood body with double binding and a single f hole, matching painted headstock, 7.25 inch-radius bound rosewood fingerboard with pearloid block inlays, and a scorching pair of Fideli'Tron humbucking pickups. Other premium features include a modern C-shaped maple neck with bone nut, 21 wide vintage-style frets, three-way blade switching with top hat switch tip, single-ply pickguard (gold on Olympic White model; silver on Black model), gold (Olympic White model) and chrome (Black model) hardware, vintage-style Stratocaster hard-tail bridge, three-bolt F-stamped neck plate with Micro-Tilt adjustment, and more.